Who loved Illuminae? I certainly did! So when I heard about the book launch and signing from Bri (@paperbackbri), I immediatelly booked tickets then begged my dad to come with me. It was an amazing night and you can read all about it in the post titled “Gemina Book Launch and Signing”. I’ve been holding onto this book for a while now, just waiting for exams to be over to officially start it, kowing full well I would have to devote time and effort to this book, so I placed in on my November TBR and hoped for the best. And here it is; my long-winded, passionate review of the flawless sequal to the mind bending thriller, Illuminae. No amount of stars can be allocated to rate this book because it was just so darn good! 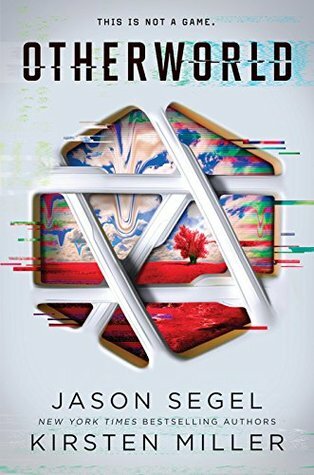 In the begining, I had a little trouble following the story along and had to keep backracking to know what was happening, which was something I hadn’t had to do while reading Illuminae. I believe this innability to keep up with the storyline was due to the fact that it had been five months since I have read Illuminae and to understand Gemina you need to have read and understood the whole Illuminae Files ideal and definately remember the characters because I felt myself mentally sifting through family trees more than once to determine who the characters were and how they were related to those present in Illuminae. I loved the inclusion of profile photos for the BeiTech team, I kept ging back and forth to the omages when a new member was mentioned in the story, just because I find it easier to visualise the story when faces of the people included are provided. One thing I love to do throughout a book is figure out how the title relates to the actual story (unlike Fall Out Boy songs am i right? ), and Gemina was a total struggle for me as this was in the back of my mind the whole time! My eyes were literally scanning every page I read for the word Gemina. Until I hit the jackpot! In Illuminae, the title came at the end when you are informed that what you have just read through was a docier of files titled the Illuminae Files and well that was pretty cool. So obviously Gemina is adding to that compendium but what is Gemina? Well Gemina, what I mistook for being a person is actually the name if a particle (probably named after a person tbh). Finding this out shocked me, Amie and Jay never cease to amaze me. It was the discovery of the Gemina Particle that really determined if this book was going to be bad or not. Not all science fiction books that delve into multiple dimentions are good; many of them tend to confuse and lose their readers at the mere mention of another universe, but Jay and Amie did a great job at keeping the readers understanding by putting the protagonist – Hanna – on the same level as the readers allowing for diagrams to be presented. The simplicity of the diagram and explanation really made me want to continue reading (also the fact that AIDAN was back didn’t hurt). The way the effect of the Gemina Particle was resolved was very clean, structured and simple in nature. It was nothing that confused me (#easilyconfused) and I understood the workings of the particle quite easily, and I’m now wandering how it was created. Is it a real theory?? The below gif perfectly sums up my favourite character. Ella Malikova, a sick incapacitated daddy’s girl who was raised in a Russian crime family, has all the skills I couls only wish for. She is a strong independant young lady but I felt she had too many firewalls up (get it, she’s a hacker? firewalls). My suspicions were confirmed when the security guy documeneted her making video diaries and I fell in love with her even more upon realising she had a heart. Also the appearance of Mr. Biggles, her black goldfish and possibly the only animal on Heimdal, made me want to protect Ella even more – though she can do more than that for herself to be perfectlty honest. My most favourite thing was that Hanna carried a journal around with her everywhere! This is something I could relate to, where I am a horrid artist, I love my journal and carry one around always. Also Hanna’s journal was NEVER forgotten or left behind – if so it didn’t magically reappear on her later. Everything lost remeained lost, and if Nick or Hanna wanted something back they had to fight for it. Look I could talk all day about every aspect of this book – especially that part where I thought Nick was bad and going to ruin the whole rescue mission or that time I thought my pecious little hacker spider had died and I nearly closed the book because if she was gone I was gone. What is more important, is the way Gemina ended. The ending of this book was something that I did (but didn’t) like. The report written by Rapier to Director Frobrisher, declaring he killed Hanna, Ella, Mr. Biggles, and Nick seemed kind of ‘typical’ of the Illuminae Team. I see how it adds to the suspense and fooled the Director, it did not fool me and I feel that if the Illuminae Team pull another one like that in book 3 I will be kind of let down. Though the last exchange betweeen Hanna and S. Al Naskat, more than makes up for the faked deaths. Donnelly, H: You really think “Impossible” was going to be a problem for us after all that? Al Naskat, S: I don’t know, Miss Donnelly. Was it? Donnelly, H: We were just getting started. Donnelly, H: You wanna know how it ends? And it just ends there. I think death would be more bearable! Wow! That was longer than intended but I could seriously go on all day about this book it is actually so darn good!! I should’ve probably done a video book talk on this but all you’ll get is one giant rant and nobody wants a video of feels and blabber. Below are some quotes for you to enjoy! As I mentioned before starting the review, no amount of stars can be allocated to rate this book so I gave it the highest possible rating,a FIVE OUT OF FIVE STARS ★★★★★! Thank You to Amie and Jay for signing my books, and Allen & Uniwn for giving me the oportunity to meet the two most amazing and funny people! © Jasper+Spice 2016. All Rights Reserved. Please do not use without permission. The review was my own opinion and may not be used without my permission. Follow me on Instagram @thebookishbree, where you will see some of these photos. You can also follow me on Goodreads.